Andrew Lutjens, soon to graduate from the MBA program at IE Business School, is living proof that you can combine right-brain creativty and left-brain business nouse. Lutjens has spent his career following his instincts. Growing up in the US, he knew from 2nd Grade that he wanted to go to Parsons School of Design in New York, spending a summer there studying design management. When it came to applying for college, he was single-minded in his choice. “Much to the dismay of my parents and college advisor, I only applied to Parsons. Alongside his studies he interned for Tulah, an NY fashion house, and then as a fashion assistant for Condé Naste’s Men’s Vogue, which had just launched. Soon he was juggling a job on the magazine with schoolwork. At Men’s Vogue Lutjens got the ‘editor’s itch’, setting a goal of becoming a fashion editor before he was 25. At a new magazine the team was smaller and the work more involved than at a giant like Vogue; rather than just fetching fabrics and coffee, Lutjens was helping put shoots together as well as managing interns. Graduating in the midst of the magazine's demise, he jumped to the Wall Street Journal's WSJ magazine as a founding staffer, soon promoted to Market Editor (at 23 - two years ahead of schedule). The role was creative (going to fashion shows, identifying trends in the market, pitching story ideas for editorial) but also strongly linked with the publishing business, working with the marketing team to pitch the magazine to both readers and advertisers. Communicating with diverse audiences is what Lutjens does best - whether it’s expressing a magazine’s brand to advertisers and readers as a market editor, or explaining the requirements of business to designers as a consultant, or pitching to investors, he knows that any endeavour comes down to working with other human beings. Lutjens has been an active idiversity advocate at IE. He’s spent a term as president of ieOut, the school’s LGBT society. When looking at schools, the LGBT community was one of the features of IE that stood out. “IE has one of the biggest LGBT clubs of all the business schools I know of. I can't say enough good things about it. Looking forward, Lutjens is thinking about technology, after having spent the summer working in Bangalore for Infosys. He compares technology to fashion and publishing; “With publishing you have to put out a new magazine every month, with fashion a new collection. Technology is just as innovative and changes as much as media and fashion. 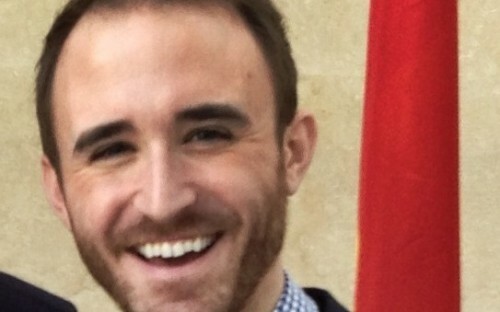 Read other BusinessBecause stories about Creatives who have gone to b-school: Creative Architect at Cranfield; From Art History to an ESADE MBA and NYU Arts grad chooses Wharton MBA and consulting career at Bain & Co.
How An MBA Can Help You Launch A Career In Hollywood!